GETTING ONTO THE TRAIL – Lina Streeper and her team round the first corner of the six dog, eight-mile Babe Southwick race on Saturday at the Ibex Valley. Streeper was the second place finisher in the event. HEADING OUT – Jason Dunlap and his team head out on the trail in the Ibex Valley as part of the six dog, eight-mile Babe Southwick race on Saturday. The leaders of the Yukon Quest are quickly approaching Fairbanks. The leaders of the Yukon Quest are quickly approaching Fairbanks. But, if long distance races aren’t for you then the Ibex Valley was the place to be for sprint race fans. The Dog Mushers Association of Yukon hosted the annual FirstMate Babe Southwick Memorial Race on Saturday and Sunday. On Saturday it was a frigid day but the sun was shining as the mushers prepared their dogs. The dog park was alive with activity as the dogs barked excitedly ready to get out onto the trails. In 1965 the races were held for three days in the Kluane Lake area. Babe Southwick drew number eight and finished in the top five of the 15-mile race. That night, she died of a heart attack. On the second day of the race in 1965, 10 mushers lined up at the starting gate each wearing a black armband. Southwick’s racing number eight was withdrawn. The number eight remains retired from Sourdough Rendezvous dog sled races. The races were held over the weekend and there were three events. There was eight-mile skijoring with two dogs, eight-mile six dog class and the 15-mile 10 dog class. The three races were held both Saturday and Sunday. 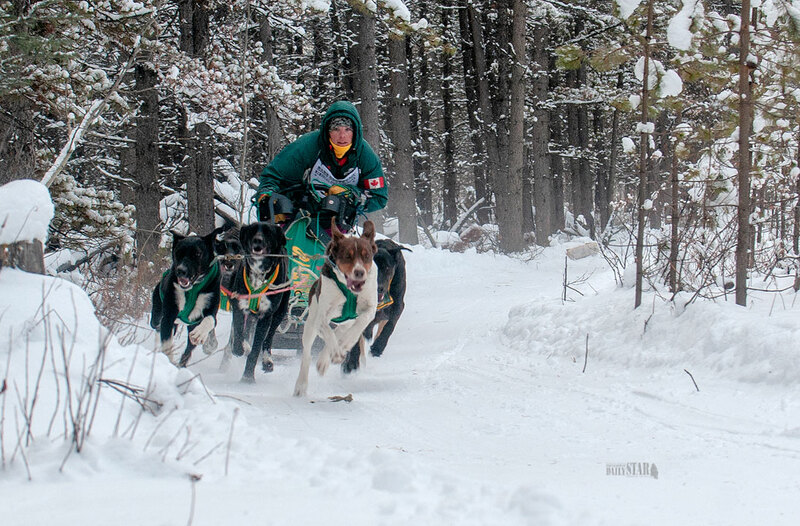 The mushers’ times from the two days were added together to determine the winner. Blayne Streeper came from Fort Nelson, B.C. to compete in the Babe Southwick. Streeper said the trail was great. On Streeper’s truck it said ‘home of the world champions,’ and he said that the races at the Babe Southwick were really competitive. 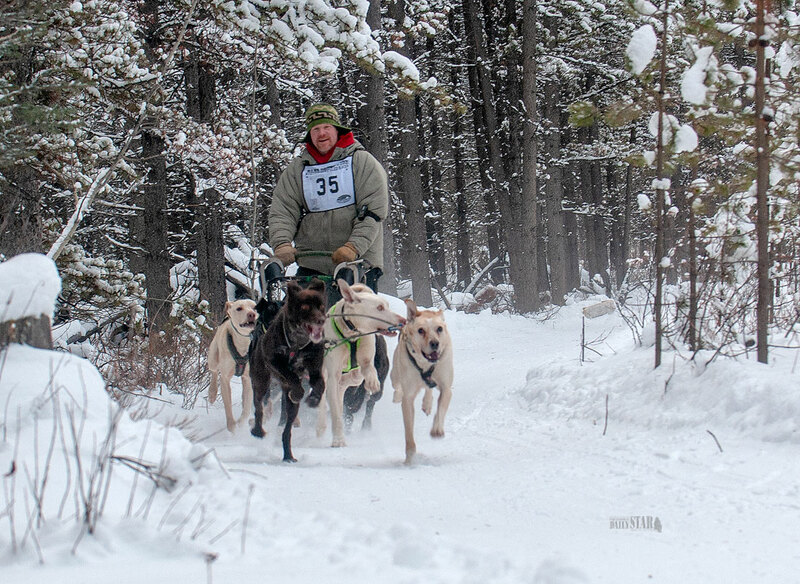 The top mushers finished the eight-mile race with six dogs in and around 25 minutes. The mushers move at 19mph. Mandy Johnson won the six-dogs eight-mile race. On the first day, she finished the race in 25 minutes even. On Sunday, she shaved one second off her time. Her cumulative time was 49:59. Johnson, a local musher, said she thought her team could have gone faster on Saturday. Johnson said her lead dog Nelson had a strong race on Saturday. Lena Breuer, from Germany, was competing in her first Babe Southwick race. The skijoring races had four competitors. Virginia Sarrazin had the fastest cumulative time of 55:28 over the two days of races. Amil Dupuis-Rossi, 1:01:43 and Magnus Kaltenborn, 1:05:51, rounded out the top three. Johnson won the six dog race with an overall time of 49:59. Lina Streeper was the second fastest musher on the weekend with a total time of 50:44. Carl Knudsen rounded out the top three with an added time of 51:18. There were 14 competitors in the six dogs 8-mile race. The Streepers took the first two spots in the 10 dog 15-mile race. Blayne, 1:34:31, edged out his wife Lina, 1:34:50, for the top spot. Knudsen once again found himself in the top three, with a total time of 1:37:41.